The quality of the cricket on view on the third day of this classic Test lived up to expectations. The best batsmen faced the best bowling and the ball moved sideways. Sideways, not ‘sideways’. ‘Sideways’ is a term normally reserved for exaggerated movement in the air or off the pitch. Yesterday, as indeed on all three days of this match, the movement was not extraordinary, but it was distinctive. It was the result of skill and it could be countered only by matching that skill with batting technique of the highest order (or in the case of Pietersen with peerless innovation). 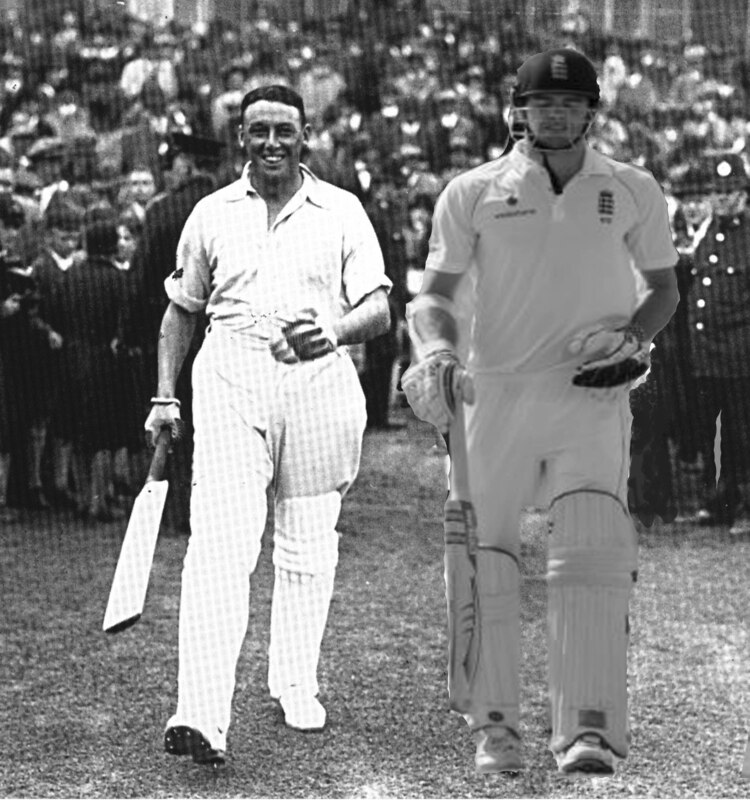 There was a passage of play when the Master and the Wall, Tendulka and Dravid, batted together for 81 runs against twenty or so overs from Anderson, Tremlett and Broad, and there can never have been a better contest at this special venue which has staged over a hundred Test matches since the first in 1884. Dravid triumphed, undefeated on 103. Tendulka perished. The former played as late as was humanly possible against a ball moving across him at 85 mph – surely the optimum speed for swing at pace. Dravid opened the face of his bat and played the ball square into the off-side with the blade angled backwards, his hands well in advance of the rest of the bat. Tendulka playing a foot earlier, much straighter and with the blade perpendicular was often beaten and in truth never looked capable of surviving to make that first century at Lord’s which was palpably his prime ambition. 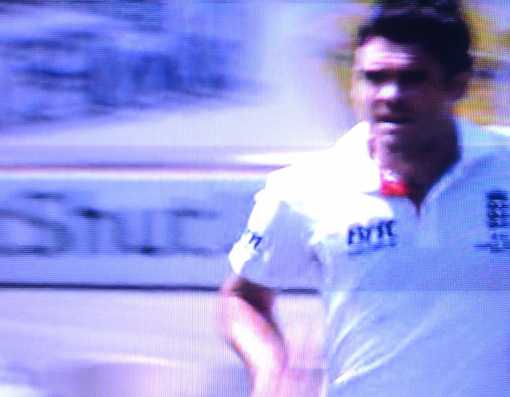 India may have expected to face two such bowlers with Anderson capable of well disguised swing in both directions and Tremlett trading extra bounce for such disguise, but they were to come up against a Broad determined to pitch the supply of last year’s Duke cricket ball being used in this series at a fulsome length. It was Broad who dismissed Gambhir with a perfectly drawn French curve to trap the left hander, LBW. It was Broad who, with fortune at his side, tempted the promising Mukund, anxious to reach ‘fifty’ to drag a wide half volley back onto his stumps for 49. It was Broad who might have had India five down for 159 had Strauss and Swann been able to cling on to straightforward slip catches from Dravid and Laxman in the same over. It was Broad who finished his day with 4 for 37 in 22 overs; half as frugal and twice as potent as his companions. As it was, no other batsman was capable of staying with Dravid, no other capable of playing the moving ball so consistently well. India were able to save the follow on but are in a parlous position 193 runs in arrears, all second innings wickets standing and with two days of cricket remaining. The day’s play heightened the value of Pietersen’s innings and intensified the importance of the third umpire’s decision not to allow Dravid’s catch when the double-centurian turned Kumar to backward short leg. This decision has made the difference between the two totals. But the true star of this Test has been ‘the red’ used in this match with its tenacious, proud and hand-stitched seam – the product of two hundred and fifty year’s of artisanship. 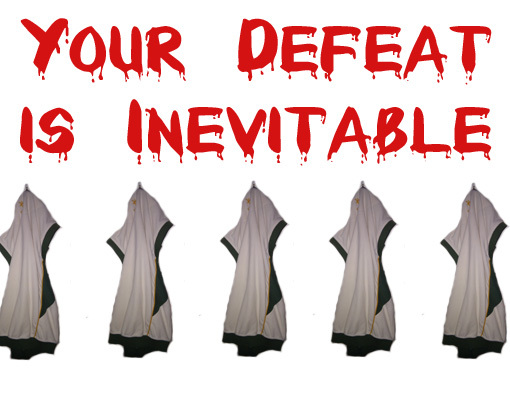 It is said that Test cricket is dying, it is also said that Test cricket is prized by those who play it. If so, then, a cricket ball must be developed that has a seam that withstands the harsher surfaces found in other countries and the players must insist on its adoption – such a development cannot be left to the politicking of the administrators. It is the seam that creates the turbulence, and the skilful positioning of the seam through the air that creates the differential patterns of air flow that produce the movement which, when exploited by bowlers and countered by batsmen, so enthrals and entertains. 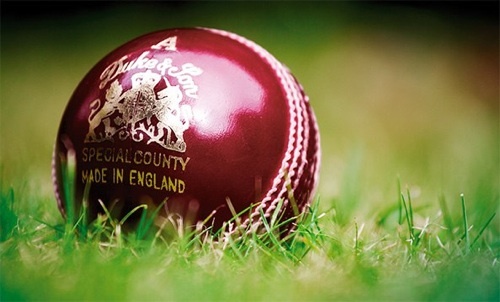 For cricket of the quality on show in this Test match, there must be a balance between bat and ball – bats have developed, so now must cricket balls. Cricket is a batsman’s game. Third Man won’t even bother to look at who won Man of the Match at Adelaide, and not just because he’s already made up his own mind, which of course he has. Over at Wisden Cricketer, Edward Craig, writes a few hundred words on Player Awards for the Test without once mentioning the Lancastrian whose first innings figures were 19 overs, 4 maidens, four for 51. Anderson’s wickets included three of the top four in Australia’s batting line up – Watson , Ponting and Clarke. As Anderson would know from his days playing for Burnley, in the Lancashire League, they take the cap round for a batsmen when he scores 50 and then again when he scores 100. You have to take 5 wickets as a bowler to have a cap taken round for you. And many clubs give batsmen special trophies for scores of 100, but ignore bowlers with Michelles and better. So how do we put a batting valuation on Anderson’s performance? We could say that 100 and a 5fer are equivalent which values a wicket at 20 runs. That’s what they do for the honours boards at most Test grounds. But does a score of 100 at Adelaide really compare with a 5fer? And is a 5-fer which includes nine, ten, jack as good as a 4-fer that takes out an opener and numbers three and four? 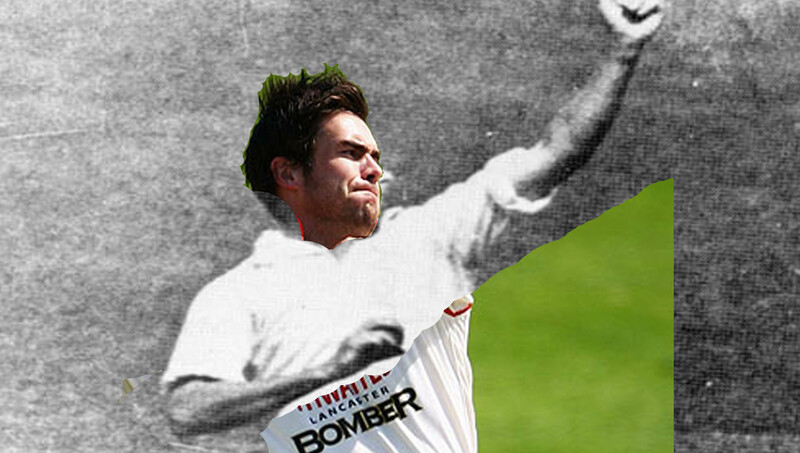 Let’s try this: you might expect a ‘par’ first innings score of around 500 for 6 at Adelaide. England scored 620 for 5, so that ‘par’ calculation isn’t unreasonable. This means that 8 batsmen contribute on average 62.5 each. Anderson’s 4-fer would work out as the equivalent of 250. On the other hand, we could take the Test averages of Anderson’s victims and add them up: 41, 54, 48 and 14 or 157 in total, except that we should take their averages for their first ‘digs’, which would be perhaps 25% higher, giving a equivalent of close to a double hundred. Yet what do Watson, Ponting and Clarke average ‘first up’ at Adelaide? Higher still, surely. It was as if Jimmy had barged his way into the Australian dressing room and on the facing wall painted in blood: Your Defeat is Inevitable. * How Good was Jimmy Anderson could be a question or a statement depending on the choice of punctuation. Third Man leaves it to the reader to make their own decision. Gatting digs trench. Swann sings live. Bird paints. Anderson works. Official. Dave Leighton who featured a few days ago, has very kindly sent Third Man a report of last week’s high profile activities. He writes, “The NatWest CricketForce weekend was stunning with the most remarkable results achieved. I have been to Harrow St Mary’s CC, Middlesex, Gedling Colliery CC, Notts and Scarborough CC, Yorks over the past 3 days and seen Gus Fraser and the Middlesex team painting a pavilion all day, Andrew Strauss and Charlotte Edwards signing autographs and giving interviews, Mike Gatting digging trenches and painting all day, Graeme Swann singing live with his band at Gedling, ‘Dickie’ Bird with a paint brush in hand, Jimmy Anderson working at Scarborough and Vernon Coaker MP in his scruffy clothes filling a skip. “If you add in new roof, new kitchen, a new umpires’ changing room, new womens’ changing room, a new disabled ramp, electricity cables being laid, new scoreboards, hedge planting, wall and fence painting and the biggest volunteer community workforce you could imagine, at these 3 clubs alone we had over 750 people attend. These included volunteers from Construction Colleges in Derby and the Yorkshire coast providing real expertise and the probation service chipping in too. 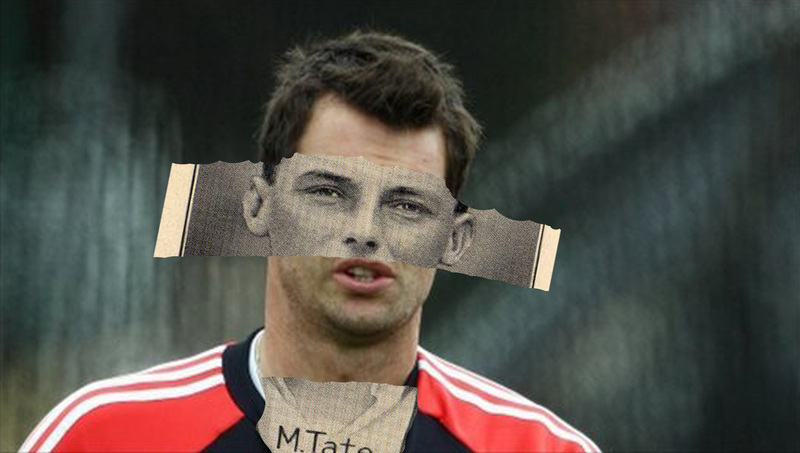 Messers Brown, Cameron and Clegg note well; if it’s broken, the united cricketing community fixes it. Get away from it all - including the cricket. Retreat to the mountains to ski or to chill, to roam or mountain bike. Flights from Stansted to Graz or Klaggenfurt. A 45 minute drive to a place the Austrians keep secretly to themselves: quiet slopes, forest trails, ridge walks, historic towns and 300 days of sunshine. Chalet owned by two cricketing families.